My fellow Boston fashionistas are struggling through what I like to call the “IDK What to Wear” season transition. One week you’re in high-waisted shorts and a jersey tee, and the next you’re busting out the sweaters and riding boots… then back to shorts again. I know my head and closet are spinning from all this back and forth but not to worry. Fall is most definitely upon us, so let’s look forward to the two ever-so-chic fall fashion essentials every girl should have this season and how to buy them for less! 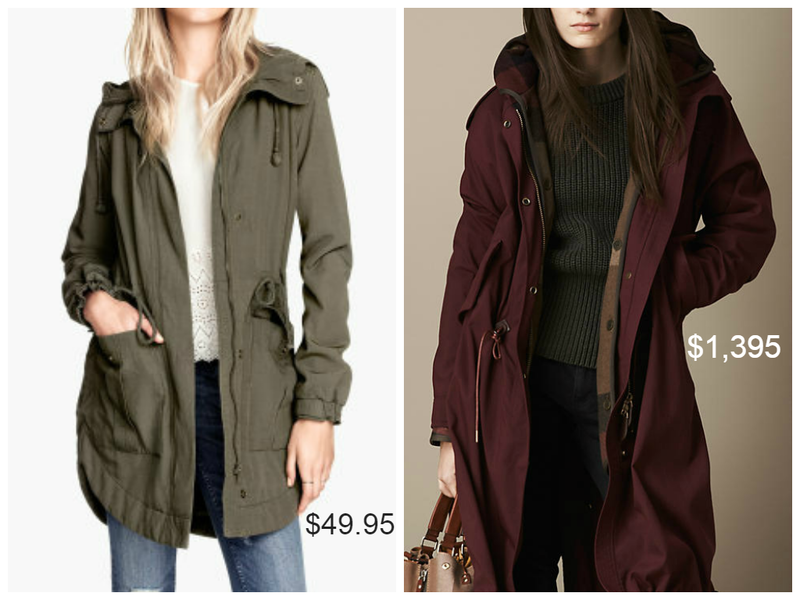 It’s almost a necessity to have one of these functional yet stylish parkas in your fall wardrobe, but why spend anything over $50? Here’s a perfect example of fall shipping dos and don’ts. Don’t: shop on Burberry’s online storefront and feel pressured into buying an overpriced designer parka. Do: what I did and take a trip to our local H&M and buy this cute army colored parka and feel equally as stylish. Coming from ASOS , this chelsea boot’s price tag is pretty alarming. I took it upon myself to search the worldwide fashion catalogs and found a pair with an almost tear-jerking price. 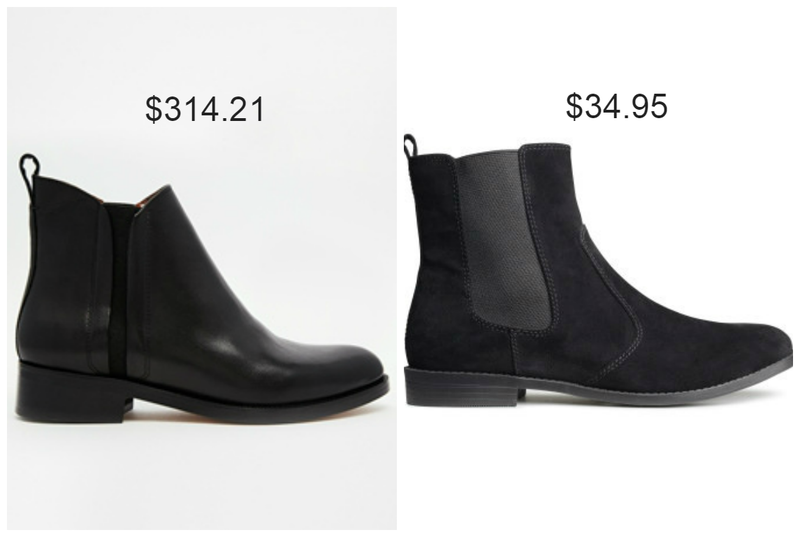 Once again, your local H&M has a gorgeous Chelsea Boot for under $40! Needless to say, H&M might as well be your fall wardrobe destination. With that said, ladies, be prepared for the best fashion season there is! Make sure you check out H&M’s online store front as well as a few of my other favorite fall shopping destinations like American Eagle Outfitters, Brandy Melville and The Gap. As well all know, college budgets can be quite restricting, so create your own version of high fashion and save stylishly! Happy shopping!